Loyola cadets competed in the Task Force Ranger Challenge at Marseilles Training Center. 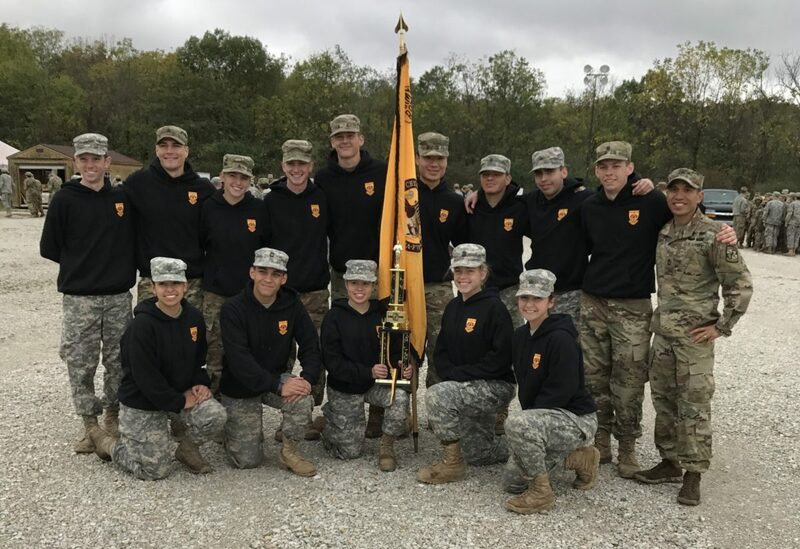 For the first time in Loyola ROTC history, the cadets’ five-person team won first place and the nine-person team won second against all ROTC universities in Illinois. 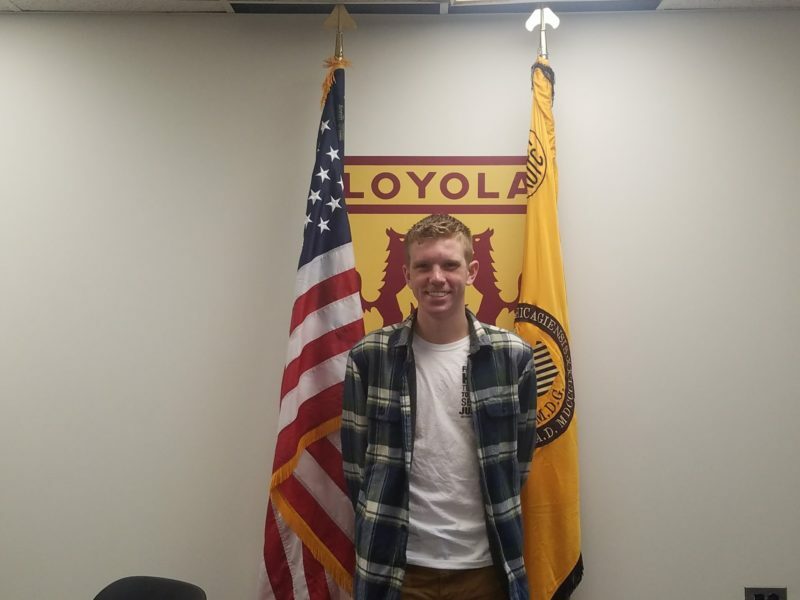 In honor of Veterans Day Nov. 11, The PHOENIX spoke with several veterans and Reserve Officers’ Training Corps (ROTC) cadets at Loyola and found that their military identities influence their everyday student life. 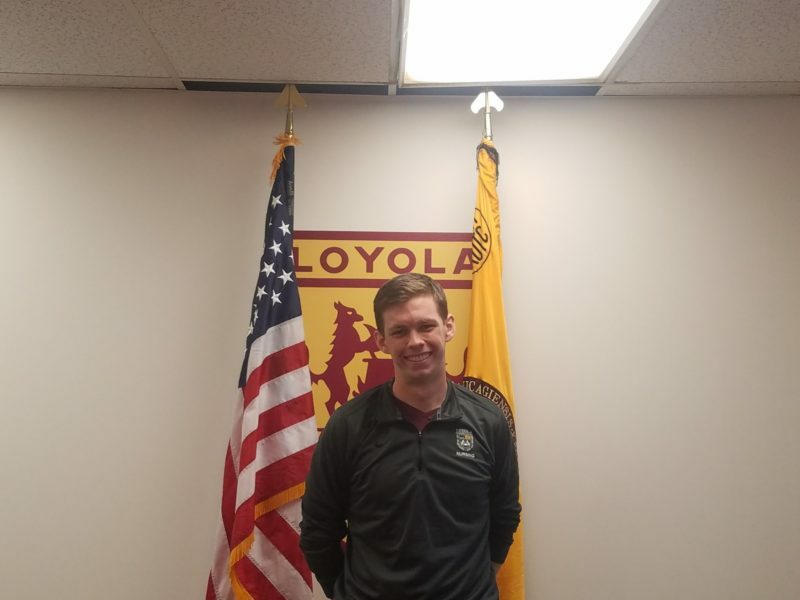 Loyola has more than 200 student veterans and 70 cadets. The university’s Military Veteran Student Services (MVSS) department helps veterans transition into life on campus, while the Department of Military Science works with ROTC cadets. Both veterans and cadets benefit from military scholarships that pay for their schooling, such as veterans’ Post-9/11 GI Bill, which gives student veterans up to $22,500 in financial aid. Hannah Gryska served in the U.S. Navy as an aviation ground support technician. Hannah Gryska, 25, is a double major in economics and international business. At 17, she left her small town in Kansas to serve in the United States Navy for four years. She was an aviation ground support technician who maintained the ship’s mechanical operations. Gryska said she was part of Operation Tomodachi, a United States Army Forces operation assistance that aided Japan after its 2011 earthquake and tsunami. Her ship, The Reagan, was one of the 16 ships contaminated with radiation. Gryska joined the Navy because she needed financial aid to go to college — a dream she’s always had. Gryska said her experiences in the Navy directly impacted her appreciation of her education and her time at Loyola. 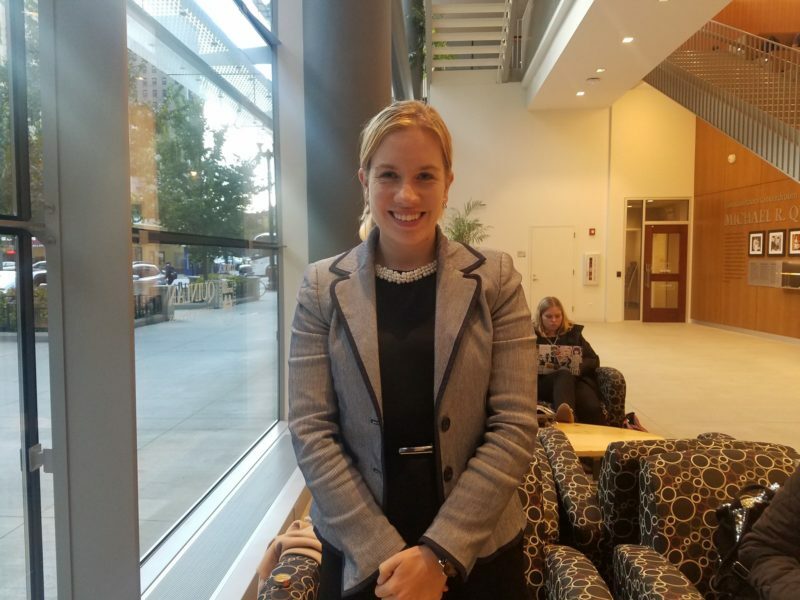 Gryska said the Navy inspired her to someday work for the State Department’s foreign services sector. One of the challenges Gryska said she’s experienced in the Navy, and now as a veteran, is people’s misconception of women in the military. Ross Burgess served in Afghanistan as an army medic. Ross Burgess, 30, is a health systems management major who was deployed to Afghanistan at 23 years old as an Army medic with the elite 82nd Airborne Division. He completed active duty in 2015 and, since then, has been working with the National Guard. Burgess said he enlisted in the Army to find direction in his life. Burgess currently works as a program assistant for the MVSS to help other veterans adjust to campus. After graduation, he said he wants to attend law school and eventually work in health law. But Burgess said his military experience will always be a part of his identity. “I think your experiences in uniform will always be with you… it’s forever,” Burgess said. Loyola’s ROTC cadets train about 10 hours or more per week and learn the ins and outs of the military. This consists of physical training, leadership classes, military science and field and summer training. Loyola cadets also train with DePaul University’s cadets. Cadets can volunteer in ROTC’s varsity sport, the Ranger Challenge, where Loyola cadets compete with other schools in military tasks. This year — for the first time in Loyola ROTC history — the cadets’ five-person team took first place and the nine-person team placed second against all ROTC universities in Illinois. Brendan Filip is on track to be a Reserve Nursing Officer. Brendan Filip, 22, is a senior nursing student and is the Ranger Challenge Officer in Charge, a role in which he coordinates the Ranger Challenge. Through his major and ROTC contract, Filip hopes to work as a Reserve Nursing Officer in the Army Medical Unit while also working as a registered civilian nurse. Filip said the ROTC program will help him accomplish two things that matter to him: serving his country and working in the medical field. He said his biggest challenge as a student cadet has been time management. Thomas McVey hopes to become a military lawyer. 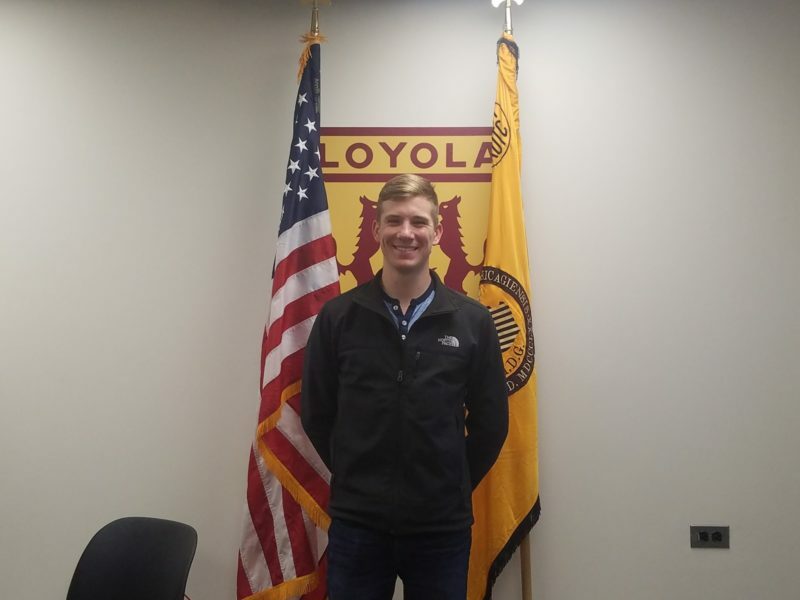 Thomas McVey, 24, is a law school student and recently became part of ROTC at Loyola. 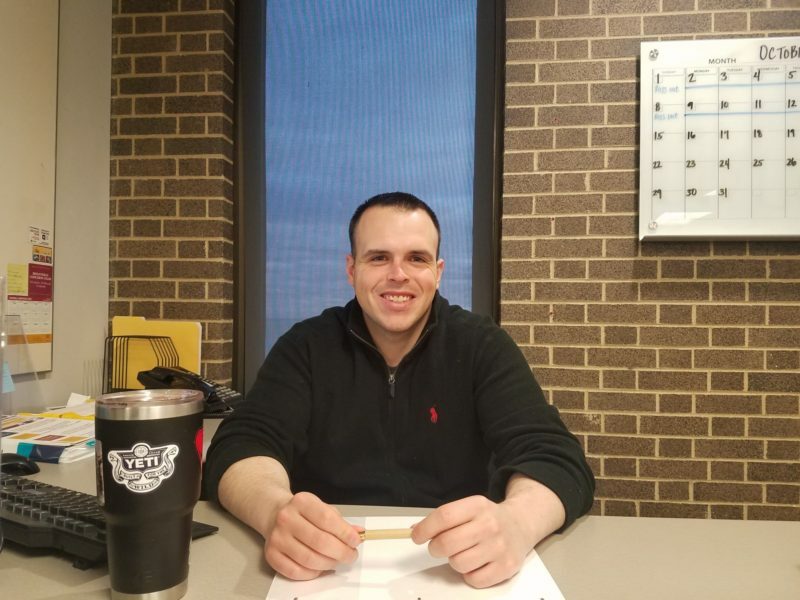 McVey completed his undergraduate degree at Illinois State University and didn’t have any interest in the ROTC program until his internship with U.S. Immigration and Customs Enforcement, which introduced him to becoming a military lawyer through ROTC. McVey said he applies what he’s learned at ROTC to his law education. Lewis Trotsky is on track to be a Reserve Military Intelligence Officer. Lewis Trotsky, 21, is a senior criminal justice major on track to be a Reserve Military Intelligence Officer. Trotsky said he always saw himself getting into the military and the ROTC program guided him through that vision. “If anything [ROTC] enhanced it even further … it made me a better student [and] leader,” Trotsky said. Trotsky said ROTC creates a more structured college experience than that of the average student, which often leads to misconceptions from other college students. “It’s easy for people to judge us … look at us in a certain way whether that we’re uptight, rigid or that we’re not very sociable. But this is something we do … something we love. We are normal people,” Trotsky said. 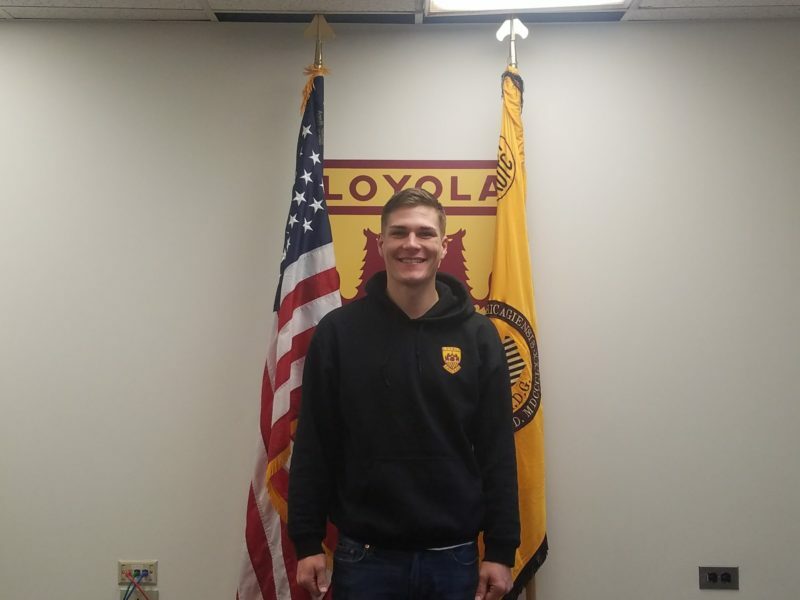 Trotsky hopes to follow his family’s law enforcement tradition and attend graduate school after completing his years in the Army. Patrick Hogan uses ROTC to obtain an education and serve his country. 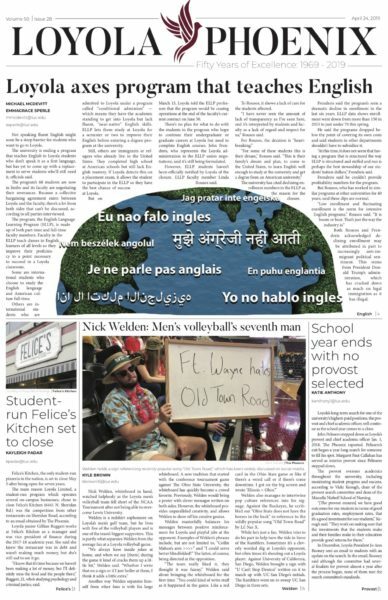 Patrick Hogan, 21, is a junior studying anthropology and Islamic world studies. Hogan said he never envisioned his life in the military until his senior year of high school when he was applying for colleges. 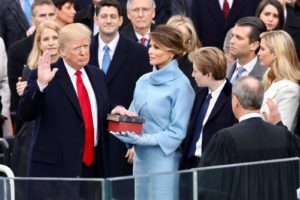 He said ROTC allowed him to accomplish two important goals: obtain an education and serve his country. Cesar Zavala is on track to serve with the National Guard and active duty military. 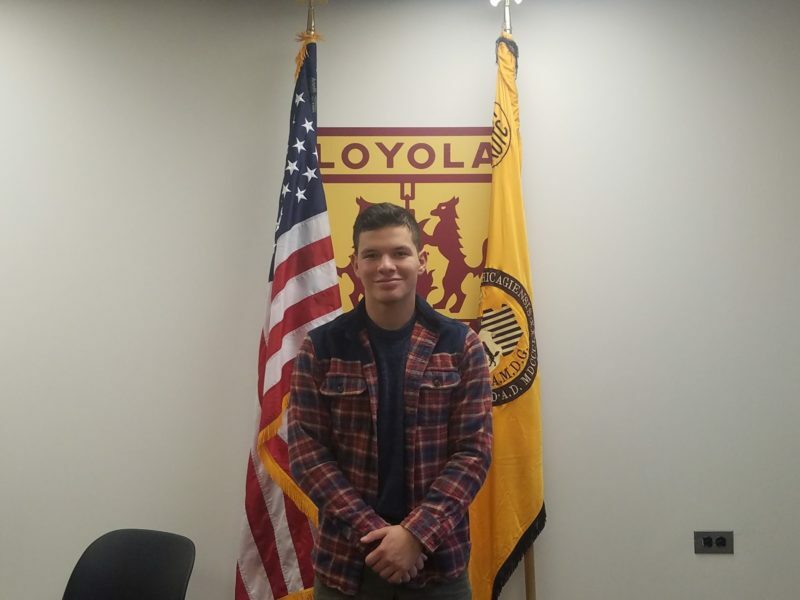 Cesar Zavala, 20, an economics major at DePaul University, spends a lot of his training at Loyola where he also takes his military science class. Coming from an immigrant household, Zavala said his enlisting in the Army was his way of giving back to the nation for the opportunities he’s had. ROTC has helped Zavala personally and academically. Zavala signed his contract with the National Guard and wants to work full-time active duty military. Sajedah Al-khzaleh is a transfer junior from the southside of Chicago, and one of the assistant news editors for the PHOENIX for the fall of 2017. She previously attended Harold Washington College where she was news editor. Her dream is to bring diversity in the the media. Besides reporting, she loves writing and performing slam poetry.